Mahendra Singh Dhoni is one of the best wicket-keeper batsmen in One Day international history. Statistically, he is still one of the top dogs in international cricket. He has led India to the 2007 T20 World Cup, 2011 Cricket World Cup, 2013 Champions Trophy and the Test Mace in 2008. Although he retired from Test cricket in 2015, Dhoni is still India's limited overs wicket-keeper batsman. The contributions made by the former skipper for Indian cricket team is immense. He made some bold decisions that benefited the team in a long run. However, as time goes, one finds it more difficult to keep one's bat ticking. Dhoni is currently in a rough patch. Even though he had an outstanding IPL season, his form in international cricket is not something that he would be proud of. 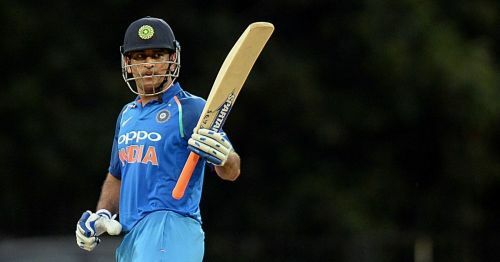 In 2018, Dhoni has so far scored 225 ODI runs in 10 innings at a mediocre average of 28.12 and with a horrible strike rate of 67. With the 2019 World Cup around the corner, fans of Indian cricket team have been demanding that the BCCI drop him for another option like Rishabh Pant or Dinesh Karthik. With less than a year to go for the World Cup, we feel that BCCI should not drop MS Dhoni now. 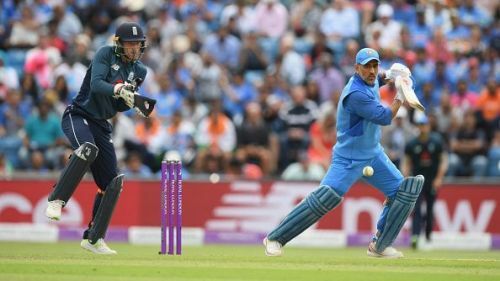 We will look at three reasons why India should back MS Dhoni till the multi-national event at least. India's top order batting in ODIs is outstanding at the moment. Rohit Sharma and Shikhar Dhawan are consistently giving good opening stands and Virat Kohli at number 3 is brilliant as always. Even Hardik Pandya is excelling at his job as a finisher. In high scoring matches, especially in batting pitches, India does not need anything from MS Dhoni the batsman. India's top three scores the bulk of the runs. However, when the table turns on its head, MS Dhoni is India's trump card. Even though he has lost his ability to score quickly, Dhoni is still a difficult batsman to dismiss. He is an outstanding anchor. If none of the top three perform well, Dhoni can ensure that India would play 50 overs completely.